The standard setup will give you a single administrator account with all the permissions. You can however create more administrator accounts with the same set of permissions. If you want to limit the permissions, create a moderator instead. 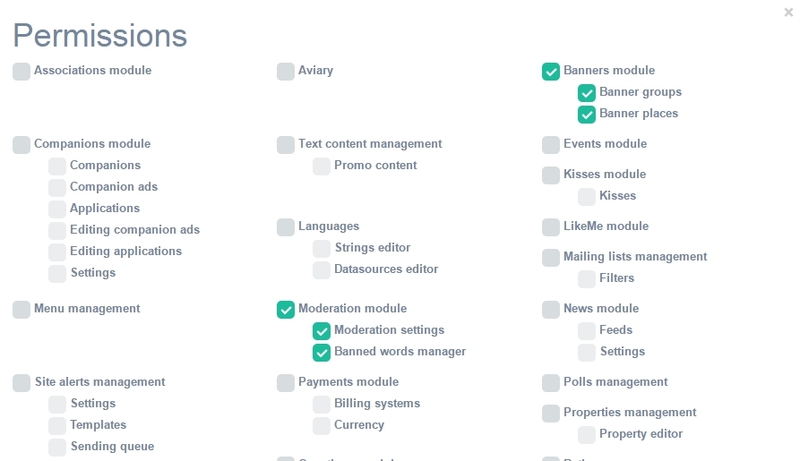 Moderators have limited permissions in the admin panel. Usually they are created when the administrator does not want to give access to sensitive site sections (such as Payments) to other people. 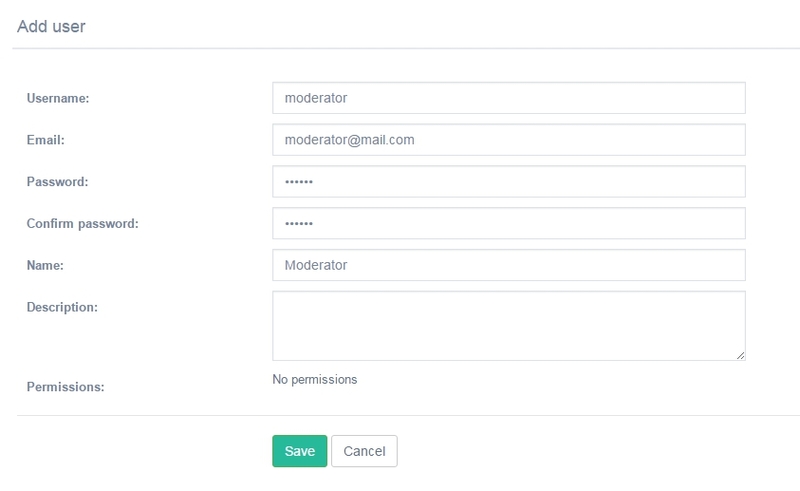 Submit the following information when creating a moderator: Username, Email, Password, Name, and then mark checkboxes next to the sections that will be available to this moderator. For example, we will let a new moderator check uploads, banned words and banners. You can always deactivate, edit or delete any moderator account. You can delete administrator accounts as well, provided that at least one administrator account remains. Otherwise you will not be able to log back into the administration panel.